"First Direct Measurements of Nuclieds around Z = 100 with a Multireflection Time-of-Flight Mass Spectrograph"
Phys. Rev. Lett. 120, 152501 (2018). "First online multireflection time-of-flight mass measurements of isomer chains produced by fusionevaporation reactions: Toward identification of superheavy elements via mass spectroscopy"
Phys. Rev. C 95, 011305(R) (2017). "A gas circulation and purification system for gas-cell based low-energy RI-beam production"
Rev. Sci. Inst. 87, 065104 (2016). Phys. Rev. Lett. 112, 162502 (2014). 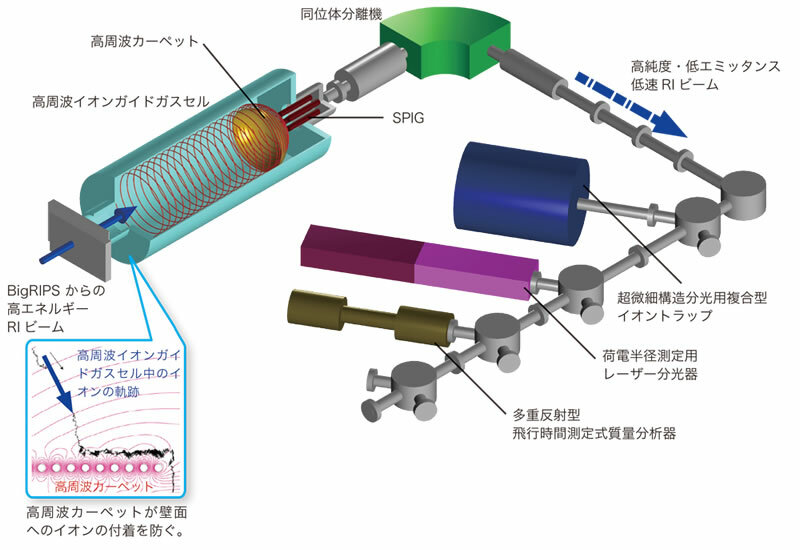 "A high-resolution multi-reflection time-of-flight mass spectrograph for precision mass measurements at RIKEN/SLOWRI"
Nucl. Inst. And Meth. Phys. Res. B335, 39 (2014). "Single-reference high-precision mass measurement with a multireflection time-of-flight mass spectrograph"
"Genealogy of gas cells for low-energy RI-beam production"
Nucl. Inst. Meth. Phys. Res. B 317, 450 (2013). "Isotope shift measurements of 11,9,7Be+"
Eur. Phys. J. A. 10883-5 (2009). "Precision Measurements of the hyperfine Structure of Laser-Cooled Radioactive 7Be+ ions Produced by Projectile Fragmentation"
"Space-charge effect in the catcher gas cell of a rf ion guide"
Rev. Sci. Instrum. 76, 103503 (2005).